Aj started coming to see us when he was just a little more than 1 year old. Whenever he would have the sniffles or a cold his mom would bring him to get adjusted first! Here is a video of AJ getting adjusted. If AJ can do it, so can you! Gary is an athlete, father and a boxer. The combination puts a lot of stress on his spine. Hear what he had to say about his experience with Chiropractic and the office of Active Chiropractic Care!! Sean W's Weight Loss Journey! When Sean came to our office 6 months ago he was in constant discomfort and 40 lbs. heavier. He took all of our best treatment recommendations very seriously and he currently has no pain, more energy than ever before and has lost 40+ pounds. The best part is, he did it all naturally and is still going strong!! You're an inspiration to our patients and the rest of our team! Hear is from Sean himself!!! "After a severe 4 day migraine that was so intense it actually blurred my vision, I went to see Dr A. My body was so imbalanced I actually felt lopsided. Thank you so much…I woke up this morning with no headache and I'm ready to beat myself up at the gym again. ..I guess that means I will see you again next week..lol Thank you again for the amazing adjustment." "Yesterday I couldn't move my neck and my right arm. Dr. Ackerman squeezed me in and woke up today feeling like a million bucks. Ready to spend 8 hours hunched over the operating room table. Thanks doc! U r the man!!!!" "I was on the road to a hip replacement." I met Dr. Ackerman 6 years ago when I was diagnosed with arthritis in the hip. I was on the road to a hip replacement. Dr. "A" taught me to squat, lunge and put movement into my hip with his advice on nutrition and a regular chiropractic appointments I am no longer on the road to a hip replacement. I am now a healthy athletic person that has participated in a Spartan Race and several 5k events. "Getting ready to leave on the family cruise!!! Thanks to Dr. David Ackerman I am pain free.. Gotta love being adjusted." "Dr. Ackerman and I met two years ago at New York Sports Club where we worked together as Personal Trainers. At the time I was a boxer training for a fight and was running one day when my ankle gave out. I went to work the next day and asked Dr. Ackerman if he would look at my ankle, and he agreed without hesitation. After examining it at the club he asked if I would come into his office for a consultation and some x-rays. Upon arriving the following day, I went in not knowing what to expect as I have never been to a Chiropractor before. I have had a long history with injuries from pulling my groin/injuring knee during high school football to waiting tables resulting in sciatica. I had been in traditional medical care for years prior to meeting Dr. Ackerman with no relief and high medical costs. After one visit, Dr. Ackerman found the underlining problem through his fantastic treatment and outstanding knowledge of the human body. After three months of seeing Dr. Ackerman three times a week, listening to his advice, and doing the recommended exercises, I saw immediate improvements. Today I have never felt better and am stronger and more educated about my body because of Dr. Ackerman’s expertise. Seeing Dr. Ackerman changed my life and I am forever grateful." "Dr. Ackerman is a quintessential chiropractor. Dr. Ackerman’s expertise and skill are evident from welcoming and truly listening to new patients, assessing a person’s spinal condition, and creating and implementing an ongoing treatment plan. Dr. Ackerman has helped with decompression of my lower spine, and significantly helped relieve TMJ and neck tension. He is committed to educating the community regarding nutrition, fitness, and overall wellness. Dr. Ackerman is a true model for chiropractic wellness as he “practices what he preaches.” I wholeheartedly endorse Dr. Ackerman in his new Chiropractic Practice." "The gold standard of Chiropractic has arrived"
From the minute you walk in, you know you've made a good investment. They have all bases covered. Clean, green, friendly, passionate, and attentive. If you value any of these qualities than you will make an appointment. Look no further, the gold standard of Chiropractic care has arrived. "I am truly grateful to be apart of his amazing office"
"I started off as only an employee at Active Chiropractic Care not knowing a thing about chiropractic care or Dr. Ackerman. It only took a few days of working for Dr. Ackerman that I realized that he is not just an ordinary doctor, he genuinely cares about his patients and will go above and beyond for them to help transform their lives. Seeing all our patients walk in with a smile and great energy to seeing them walk out being in the same state has made me want to become a patient of his also. Becoming a patient has been one of the best things I ever experienced. I am now in tune with my body and also learned exercise techniques that help me on a everyday basis which has helped transform my body. I am truly grateful to be apart of his amazing office." "When I first started going to Dave I had a lot of pain in both knees, both shoulders and my lower back. It really limited my workouts, I couldn't perform most lower body exercises and it would be quite painful during upper body exercises. But after working with Dave and following his workouts and advice, after a few short months, I feel better than ever." "The time I have spent here has been life changing." "Great atmosphere, quality service, expert advice, everything you could want in a chiropractor. I have been a patient for almost a year now and the time I have spent here has been life changing." "Time he spends with you to understand what is going on with your body is PRICELESS." Met Dr. Ackerman a few years ago now. When I first went and saw him, I had back and neck pain. He would not only address the problems I have but would teach me how to prevent it with simple exercises. If I know anyone who has back pain or anything of the like, I would definitely recommend them to come see him first. The time he will spend to make sure you free welcome is first class, but time he spends with you to understand what is going on with your body is PRICELESS. "Dr. Ackerman is the most knowledgeable, professional, and dedicated Chiropractor on Long Island." "Dr. Ackerman is the most knowledgeable, professional, and dedicated Chiropractor on Long Island. The energy when walking into his office is positive and uplifting. His front desk staff Cristina plays a major role in the organization and operation at Active Chiropractic Care. Dr. Ackerman goes above and beyond and will do what ever it takes to ensure his patients have a great experience. His care is not focused on temporary healing of physical ailments but an education on lifelong wellness. As a health and physical educator with over a decade of fitness experience, I recommend Dr. Ackerman highly." "Not only have my adjustments helped me become pain free but also a more balanced person." "As an active person I never thought I would need a chiropractor. A friend and coworker recommended Dr. Ackerman after I began to experience horrible lower back pain. Not only have my adjustments helped me become pain free but also a more balanced person. I look forward to my visits and time with Dr. Ackerman and his staff. I highly recommend him to all friends and family." "Dr. Ackerman is a wonderful Chiropractor." "Dr. Ackerman is a wonderful chiropractor. He is very patient & caring. He is always available to answer your questions & advise you how to become more active & healthy. He has changed my life for the better. 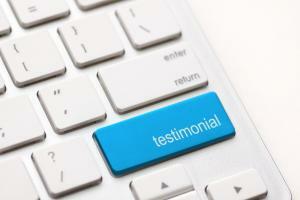 I would highly recommend Dr. Ackerman & his professional staff." "I couldn't be happier with the results." "Found out about Dave Ackerman through a friend to help with constant back pain I was having. After spending a few months in his hands I couldn't be happier with the results. The pain has subsided dramatically and Dave has continuously made my whole body feel better overall. Would definitely recommend to anybody especially athletes whose bodies were worn down from physical activity." "I would highly recommend Dr. Ackerman to my closest friends and definitely to my family." I was recently introduced to Dr. David Ackerman from Active Chiropractic Care almost 2 months ago, from Phil Sottile from Intelligent Fitness. I am in my mid 40’s and have been exercising for the past 15 years. I have tried numerous exercises and have stuck with two that I do on a daily basis, TRX and Spin at Intelligent Fitness. I enjoy my cardio and my strength training because that’s what I need to stay healthy. My exercising is my prescription. I have a couple of musculoskeletal issues, Scoliosis being the most prominent one to date. My neck was burning and numb for years, my kyphosis was pushing my neck forward more than I would like it too and my right hip is hurting from a recent fall and an imbalance of my spinal structure. So technically I am a mess, on the structure level. I have always modified my workouts due to my limitations with my back, but I couldn’t take the pain anymore it was draining me. I had a conversation with Phil and I was about to cry because I knew I needed more therapy I just didn’t know where to go or who to trust. Phil recommended Dr. David Ackerman. I called him; Phil called him, and told him my issues. I was in there the next day. I was skeptical as first getting involved with Chiropractic Care; I didn’t want to be committed for life. Dr. Ackerman gave me a thorough consultation along with orders to get x rays on my spine. Dr. Ackerman informed me upfront what my Chiropractic Care was going to be for the next few months and what I needed to do on my end to feel better. I have been to other Chiropractors, and felt I was not being heard. He Heard Me. And I listened to him. He told me,” let me do what I need for you to get a better range of motion and strengthen your spine. He informed me that one of my exercises I will have to put on the back burner temporarily until my hip feels better, but gave me my stretches to do in the morning and I am now taking Pilates. I have completed my first month with Active Chiropractic Care, and I can actually turn my neck while driving my car, or at my desk at work. My range of motion has improved as well. I would highly recommend Dr. Ackerman to my closest friends and definitely to my family. His compassionate personality, his motivation to get his client up and active again and his commitment to the wellness of his patient is commendable. It is difficult sometimes to put your trust in someone else’s hands, when you have tried for years to find that one person who will listen, it might not be what you want to hear and your schedule might be uprooted temporarily, but in the end your journey to a better self is waiting for you.